No matter what you are looking for, this pin won't miss its mark! 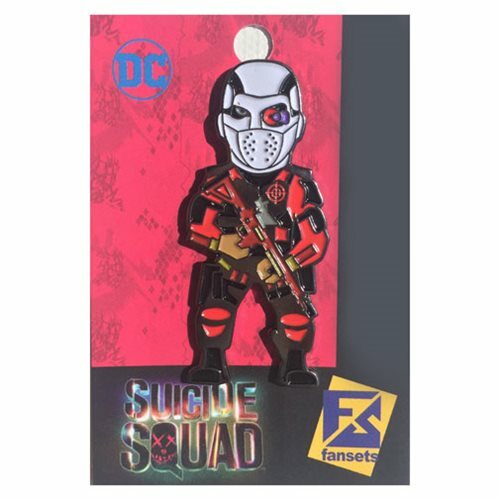 This Suicide Squad Deadshot Pin features Deadshot as seen in the hit Suicide Squad film holding a rifle. Collect all your other characters to unite the squad (sold separately)! The pin measures about 2-inches tall.